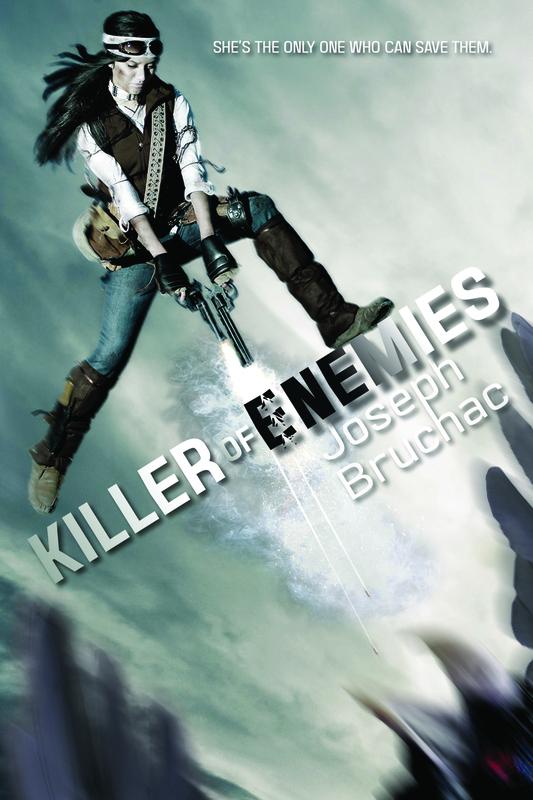 Take a first look at the cover of Killer of Enemies by Joseph Bruchac, one of Tu Book’s upcoming fall titles! This is not a once upon a time story. Fate has given seventeen-year-old Apache hunter Lozen a unique set of survival skills and magical abilities that she uses to take down monsters for the remaining Ones, who have kidnapped her family. But with every monster she kills, Lozen’s powers grow, and she connects those powers to an ancient legend of her people. It soon becomes clear to Lozen that she is meant to be a more than a hired-gun hunter. Lozen is meant to be a hero. Doesn’t this sound like a blast? I’m excited to get my hands on this book!